UNESCO-PREV Co-chair, Ghayda Hassan, has recently been appointed Co-chair of Countering Radicalization to Violence (CRV). CRV is a new, national committee that was formed by experts from diverse backgrounds to ensure that Canada Centre’s National Strategy on Countering Radicalization to Violence is implemented in ways that meet the strategy’s three priorities: building, sharing and using knowledge; addressing radicalization to violence in the online space; and supporting interventions. 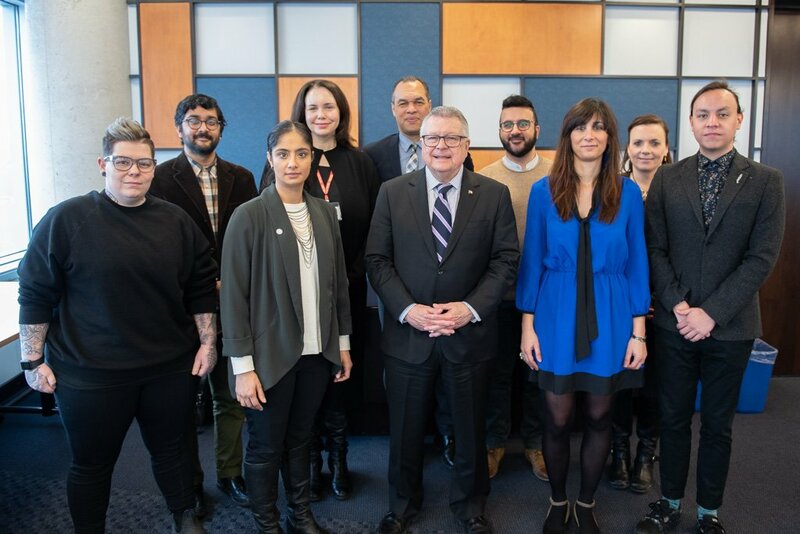 The Countering Radicalisation to Violence committee consists of the following members: Dr. Ghayda Hassan (co-chair), Peter John M. Sloly (co-chair), Bob Rae, Nina Krieger, Dr. Jaspreet Khangura, Dillon Black, Max FineDay, Rizwan Mohammad, Irfan Chaudhry, Dr. Shelly Whitman. One of the membres of the committee is Irfan Chaudry, our alumnus from the 2018 Concordia University Interdisciplinary Summer Institute. Irfan is a hate crimes researcher and the Director of the Office of Human Rights, Diversity and Equity at MacEwan University in Alberta. Click here to read more about the committee members.